This is a brand new Lawrence 705 pickup that will sparkle up your older Sho-Bud--this is narrow mounted just like the Sho-Buds were. Any other steels like the Mullen Royal Precision and the Discovery, this pickup will fit . There are a lot of narrow mounted steel pickup guitars. Advance your sound of your steel. Please ask for the wiring directions if you need them. On Sale for a limited time! The narrow mount version of this pickup is the one that has 3 screws holding it in on the ends of the pickup. 3 7/8" x 1 1/4"
The holes are 4 1/4" center to center, 2 holes on one end and 1 on the other end. 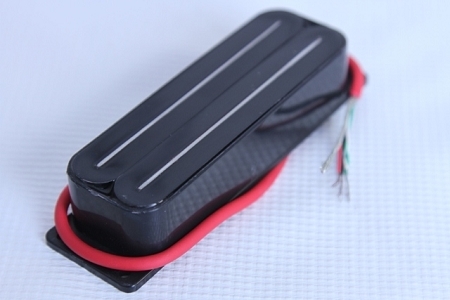 This the pickup I recommend and use on my Mullen G2. I will send you a wiring diagram with the pickup! "I just wanted to drop you a line and say thanks so much for the Lawrence 705 pickups you sold me. I needed a good humbucker pickup that would sound as close to my single coils as possible on my D10 Emmons LeGrande. What a difference! They sound as close to my single coils as you can get and I am so pleased with the tone in addition, they are dead quiet!